STARTING TODAY: Enjoy Your Drink To The Maximum With The Premium Ice Ball Maker Mold By The Brothers Tod! Meet The #1 Ice Sphere Maker Mold & Problem Solved Once And For All! Unlike regular ice cubes, the round ice balls you can super easily make with tray, melt down slowly, allowing you to enjoy the full flavored taste and the natural aromas of your spirits or beverages to the utmost! Not only do these sphere ice balls keep your drink cold for longer, but they also look great! Use them in your whiskey or water glasses and impress your guests and friends with their great look. •Flexible, non-stick with easy grip, making it easy to remove your perfectly shaped ice balls. •Durable and long-lasting, made to stay in your kitchen for years. •3 Different Security Systems- No leaks, no spills, no mess. 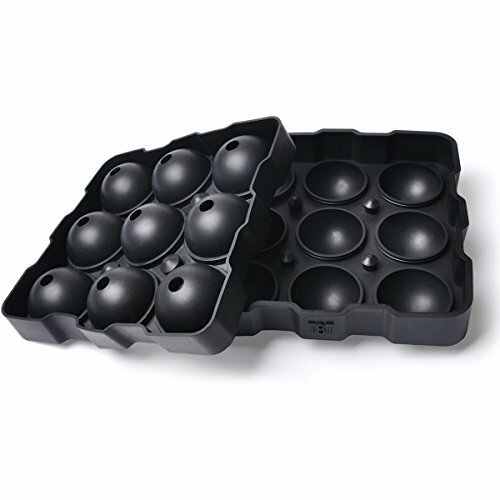 •Infuser Ice Balls: With their convenient size, you may even put garnishes, like fruits, lemons, herbs and more for a delicious flavored drink!